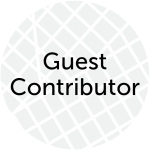 Article Note: This is a guest post by Cory Crocker, a University District advocate for public park space and leader of the U District Square campaign. Please join us on Monday, June 29th at 2:20pm for the official ribbon-cutting celebration with Mayor Murray and a host of other supporters who made our parklet a reality. It should be a warm and sunny, summer day…a perfect time to enjoy the parklet, eat lunch, have an iced coffee or ice cream cone. A parklet is a small, urban park that is created by converting one or more parking spaces into a public open space for the enjoyment of the community. Our parklet was assembled overnight and soft-launched just in time for this year’s U District Street Fair in May. The finishing touches will be in place for Monday’s official launch and celebration. This successful project leveraged the support of so many community members and neighbors to raise the funds, design, build and now enjoy our first parklet at the intersection of NE 43rd Street and the ‘Ave’, in the heart of the U District. The Parklet was a volunteer and community-funded project pooling funds from a very successful Kickstarter campaign, a Department of Neighborhoods grant, and sponsors such as Urban Sparks and Häagen-Dazs. For more on our past coverage of the University District Parklet, see Scott’s report on the parklet’s debut and discussion with Cory Crocker from CascadiaCast as well as Stephen’s project background and funding details.